Common issues with Hyundai generally relate to vehicle service, technical failure, rude employees, and recall delays. If you have a problem with your vehicle, direct your complaints to the customer service phone number at 714-965-3000 or the corporate office at 10550 Talbert Avenue Fountain Valley CA 92708.
another thing is break problem , while driving beyond 100km/hr, whenever I take instant break their is slide voice issue,stop problem. I have been notify all this thing to nirmal hundai ,a unit of kripa hundai(Noida sec16) and car handover to showroom /service centre for further resolve . so I request you to see this issue. I relocated to Arizona 10/20/2018, I'm now leasing a vehicle from Hyundai have been trying to get the documents needed from Hyundai so that I can get plates for my car. Hyundai has yet to response to my request several I have sent faxes and calls, on one instance the agent hung up on me. now I will reporting my complete to the better business B.
Hyundai collision dept. in Tucson, Jim Click, dealership replaced the rear quarter panel on my 2017 Elantra. After 3 years the panel began to separate from the rear fender. I took it in and showed it to the collision dept. The appraiser showed me a small scuff mark and said that this small scuff caused the separation. The scuff did not even scrape through the paint layer. I took the complaint to the Hyundai regional headquarters They said they had reviewed it with the dealer and the dealer said it was not Hyundai's problem. I have to conclude that the Hyundai elantra is so fragile that a scuff can cause the fender to separate. I will not buy another Hyundai and recommend no one else buy such a fragile car either. My sonata is one of the recall vehicles. The engine shut down had to be towed. Roadside service came and brought it to Inver Grove Hyundia. It has been a week and a day and they have not even looked at it. Costing me 1000 in rental cars that Hyundai will have to pay. By the time they fix it it will cost Hyundai 3 times what it would have cost if Jim in service was not so lazy. He told me to be there Tues. That s when he informed me they had not looked at the car and he could not give me a rental until Hyundai o.k d it and Hyundai won t ok it until they look at it. Ether way the repair will cost Hyundai 3 times as much because Jim is lazy. I purchased a 2011 Hyundai Sonata in 2012. I have taken the vehicle more than once to the Hyundai dealership here in Fort Wayne Indiana for the steering wheel when going over bumps I get a noise there was a recall on the steering but I was told the recall does not cover my issue now its 2019 and its gotten so bad it raddles and shakes non-stop. Now I am experiencing my vehicle burning oil my engine is the same engine that was just recalled with Kia 2.4. I have proof that have faithfully changed my oil when I went for my oil change I was told I barley had any oil on the stick. My vehicle has about 106,000 miles. I had such good luck with my 2005 Sonota is why I purchased another one this one has been not a good purchase. Recently, we've been experiencing an issue involving the rear door locking system on our daughter's 2016 Tucson. The doors can't be opened, despite the child locks being disabled, the auto and manual locks being unlocked, or the manual handles being used from inside or out. The is a most UNSAFE situation, especially in the event of an emergency. We have scheduled a maintenance appointment with our local dealer (Tameron Hyundai, Hoover) at our expense. We don't know if this is an issue on your "radar", but we've viewed consumer blogs regarding similar experiences. As we see this as a software/mechanical flaw, it would certainly be appreciated if we might have this diagnostic done at Hyundai's expense. I bought my 3rd Hyundai on 1/12/19. Traded in a 2015 Sonata. It was sold on 1/31/19 and has still not been paid off. I bought this in Huntsville, TX. They are owned by KAMKAD of McKinney, TX. I have talked to multiple people about this. I have made one pymt. on the Sonata and will soon have to make the 2nd. I can't keep this up! I finally talked to Emma Fortier at 972-562-0013 last Friday (customer service). She said she would get back with me on Monday. I have left several messages and she has still not contacted me. I want to know when the Sonata will be paid off and a tracking number for the check that will be sent to Capital One for the payoff. I called the GM at the Huntsville dealership and he said the check had been cut and would get back with me. He always says he will call back, but I end up having to call him. I bought a 2017 Elantra Limited in July 2017. Even though it was listed as being 6 months old, it was "used" which was fine by me, as I really loved these cars and it had low mileage. The CarFax checked out that there had been nothing wrong with it - no accidents, no issues. As an aside to my main issue, I have to echo with some others who posted here that the dealer or the deal was a harassing, tedious, ridiculous event. My credit score is in the 800s and I owed NO money to anyone. I almost couldn't get a loan even with $7,000 down because "I didn't owe money and couldn't prove I had a history" Literally as I was walking out the door, they magically came up with loan. My credit score took a hammering due to so many places doing credit checks on me. Weeks later I was still receiving mail in the regular mail from all the main player companies who do car loans and they said the reason I had been turned down was I didn't have any Credit history. On looking at these mails I saw that the dealer had been misspelling my name on all credit requests. So yeah - I don't even exist, do I? Anyway. Soon after buying the car, I returned it to the dealer and told them I was having a heck of a time keeping it on the road. It pulled all over and drifted. It was exhausting. I know if the alignment is off, if you let go of the steering wheel the car will drift off to the side. It did this, but it would also do it as I was driving, sometimes pretty severely. The mechanic said they could see nothing wrong and suggested to me I just didn't know the roads, wasn't used to the car yet or cars just do that. Not only was this condescending but I've been driving the same roads since I was 16 and am now in my 40s - I really do get how cars drive on the roads here. Others have posted there has been a loud "Clunk" of a metal-like sound when putting the car in drive and I have that, too. It seems to be coming from the back tire area. I took it back in and asked if maybe the brake was sticking or something. It didn't happen all the time, but when it did it was like I had to wait for this loud, shattering THUMP! before the car would move its first inches when put in park. I was told there was nothing wrong by the dealer. So, last winter we didn't get much snow, so I didn't have any idea how the car ran. This year we have been hammered a few times the last few weeks. This car is ALL over the road. The steering issue (that I'm imagining) is still there but even with a slight amount of ice or snow, this car fishtails, slides all over, skids. It's only because I drive a lot for my job that I avoided several accidents that would have been due to the car just being all over the place. I took it in last week to have the tires looked at because there was no way I can drive this car even in very cold temps if the rain is getting slick. I was told, by the dealer, that it's "just a light car" and put some weight in the trunk. I pointed out that my mileage is WAY under what I was promised and what the car advertises as it is, and always has been. I don't need 50-100 pounds of kitty litter in my trunk so I don't kill someone. I took the car to a noted tire shop a few miles from me to have them look. Our family has been taking cars here for 40 years. They showed me that all 4 tires were dry rotted AND in looking up the serial numbers of the tires find they were made in 2014. All I can say is the tires were cracked and I know what dry rot looks like. This car has been in a garage since I bought it and I've put - in a year and a half - 9,000 miles on it. The car has 21,000 miles on it total. I had to buy 4 new tires. I called my dealership 3 times and got transferred to 3 people, the last one the sales manager who wasnt in and hasn't returned my call. The other people I talked to hemmed and hawed and told me all manner of BS excuses as to why it's not them, it's me. The head mechanic suggested to me that the tire company lied to me and "just wanted to sell you tires" another person I was transferred to told me that it's Hyundai's fault - that they can make tires in 2014 and so what? They could have sat in a warehouse for a year, then the 2017 models are really out for sale in 2016, so the tires would have only been 2 years old at the time . I was also told if "you don't take care of" the car or tires, they dry rot. I replied that the car has been in a garage, and I barely drive it. I was then told if you get your car cleaned at a car wash they put stuff on the tires that dries out the rubber. i told them I've never brought the car to a car wash. I was asked if I could get pictures of the tires and I said I had asked but the people who pick up old tires had picked up my old tires that morning, at the tire store. I asked. The mechanics said not to even bother as Hyundai won't do a thing. They said they've seen it before - cars are even shipped with old tires. One mechanic said his mother had the same thing happen but eventually Hyundai bought her 4 new tires. I couldn't win. So I spent over 800$ for 4 nice (not THE cheapest but the next one up) tires, and an alignment. I've had the car 1.5 years. As I said earlier, the gallons per mile # is WAY off (I'm told by my dashboard Thing I'm getting around 16 MPG. I don't hot rod, I don't speed, I don't abuse the car. It's never changed, ever, from this number no matter what I do or if I have the AC on full blast or the heat. I'm sorry I bought this car but I researched it, researched a lot of cars period, I thought I was getting a good product but buying something also means the follow up and service is great, too. I send my H100 for service and my driver was send back because he was late and was advised to rebook by so doing we surpassed the 30km tolerance kilometres which they're charging on me as penalty. I find it absurd. the way we have been served with Hondekkers Hundayi dealership. I am complaining about my car that is now at the workshop of Hyundai wonderboom for fixing since 23 December 2018 till today. I sometimes feel that they take advantage of me since am a woman. They don't even contact me to update me. Now I have to pay instalment for the car that am not driving. This whole situation frustrate me honestly, and am sugar Diebetic and is not controllable because of this frustration. Everytime I call them they tell me that they waiting for parts. The question is that , Why cant they give me another car and keep that one or cancel the contract if possible. I had purchased a car model no. XCENT VTVT S BS-IV(RHM) from M/s. MALWA AUTO SALES PVT. LTD. KUNDLI Vide invoice no. MASPL/1304/16-17 dated 29-JULY-2016. I feel pain to inform you that even my regular complaints duly attended by your authorized service centers, the basic problems being faced by me from the very beginning of purchasing the new car have not been settled. It has been noticed from the very first day that the engine of the car stopped suddenly during running on the road. 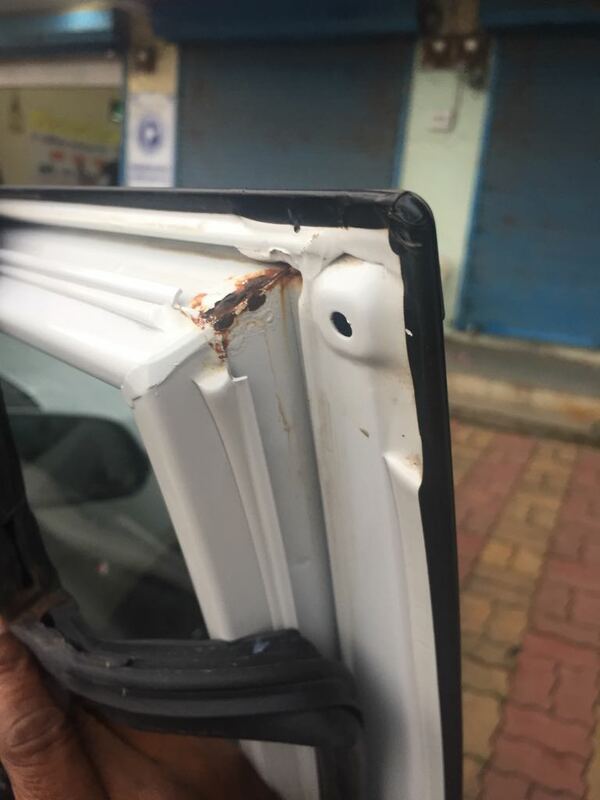 Although this problem was attended by your authorized service center M/s Himgiri Hyuandai, A-9/1, Jhilmil industrial Area, Jhilmil, New Delhi, 110095 / M/s Capital Hyuandai Capital Automotive Pvt. Ltd. H - 5, Sector - 63, Noida (U.P) a number of times but the problem still persist. I afraid that sometimes someone may get hurt at the time of driving the car on the main road. Recently on 21.11.2018, while driving the car on the highway, the engine of the car stopped suddenly and I along with my family escaped marginally from fatal accident. This was reported to your authorized service center M/s Capital Hyuandai Capital Automotive Pvt. Ltd. H - 5, Sector - 63, Noida (U.P) on same day. I am sorry to inform you that my experience on purchasing the Hyundai car manufactured by a very prestigious company, is not good and i really fed up by using this car whose engine stopped suddenly during driving on the road . Please look into the matter & get my car replaced to avoid the problems being faced by me from the very first day of purchasing the new car. A Parking Ticket was issued on my vehicle during the time of service (Sept). I was not even informed about it until I received a notice in the mail from Dept. of Finance -Parking Violations in Oct.2018. It is now Jan.2019 and no resolution other than "when we gather the tickets together, we pay them at the same time". Five months later...Unacceptable. I feel the team in L.I.C, NY doesn't care if my vehicle is towed or booted as threatened. Customer service please pay attention to these things.I can rant on other things but I'm nice. We bought a new Kona on 12-11-2018 from Centereach Hundai in NY. We had wanted to pay cash for the car but they said we had to set up a loan program with a bank. The retail installment contract had no mention of where a payment should be paid. On January 11 th we got a payment slip from Bank of America in Florida due by January 25. I called the bank the same day to pay off the entire amount and the total was $112.57 more than our total on the contract. They charged us about $3.00 a day interest even though we had no idea where to pay for the car. This is rediculous, we were paying interest on a loan before we had any information on where, what bank or when. The bank blamed the dealership for not giving us the information and the dealership never called me back after they were going to check the matter out. I feel that we should be refunded the $112.57 because they never told us where to pay it off. If I don't hear from anyone I'm going to file a report with the Board of Consumer Affairs. That's $112.57 for nothing. Diane Record 631-584-7142. Trust all is well today. Just a follow-up did they respond so far. The customer bought the vehicle from the government and the process to buy from them took longer than expected and the plan expired. Would it be at all possible to grand any goodwill towards this customer in light of this issue. My experience at Superior Hyundai in San Antonio was very poor during my visit on Dec 27. I came in that morning to meet Hector (who had been texting me to come in) and picked out a car that we wanted to buy. He had to constantly deal with a manager, Rene, for every question and I never got to meet the manager since he would not come out to visit at all during the discussions. The manager made a ridiculous offer of $3,500 for my 2011 Chrysler 200 convertible, that was in great shape. I argued against this offer, way below Blue Book, but Rene would not budge. I took the car to Car Max and they paid the correct amount, $5,500. I came back to the Superior Hyundai dealership still prepared to buy the new 2018 Hyundai Elantra. We were $400 apart on the price and thought we could make that up with the fact that my daughter had just graduated from college 2 weeks ago and Hyundai offered a special deal for that. We were then told that this would likely not work due to her monthly income (since this offer requires using Hyundai financing), so we stayed at the same price. I suggested that we just split the difference on the $400 and buy the car then. Rene then told Hector, no deal on the $200 offer. After trying to screw me out of $2,000 on the trade in (which was clearly done just to enhance profits), they would not budge on a proposed reduction of $200. I said if this was not done, I would simply go and buy my car elsewhere. Rene said that no reduction would be made. I left and drove straight to the Hyundai dealership in Kyle, TX and restarted the process. After more hours spent, I drove away with a 2018 Hyundai at the same price, but purchased a SEL from them instead of the SE, with a convenience package that Superior was attempting to sell to me. Due to this obvious greed and willingness for a client to walk away for $200, I did not buy my car at this dealership. I am thus very disappointed in the professionalism of the Red McCombs Superior Hyundai staff and will be sure to tell that to anyone who asks me. I would like to thank Superior, though, for driving me away so that I eventually purchased a higher end model at another dealership for the same price. CEO Founder of Aerospace company Defence Contractor United states of America. I made a deal with Tysinger Hyundai last week to buy 4 tires. They had a sale, buy 3 tires, fourth one free. I was going to have them installed on November 24th 2018. They did not have all tires on hand so we decided to have them installed Saturday December 1st. This was all conformed over the phone a week ago. This morning I was told they could not honor the sale due to the sale ended yesterday. So even though I was in their computer for this transaction, they refused to honor the sale. I left the dealership feeling very disappointed in this dealership. This sounds like a classic “bait and switch”. I absolutely love Hyundais. I have two and not far from upgrading. It sure will not be at Tysinger. Hall Hyundai in Newport News would have never treated me this way. As for tires, guess I will go to Sam’s club. Worst experience ever! I bought out my lease with them back in 2015 and they have still repeatedly not released the title of my car to me. They have been paid in full. I have faxed over the documents required to release the title over 30 times now and they have still not released the title. This company is by far the rudest and most unprofessional I've ever worked with. If you ever buy a car with these guys do not finance it with them ever, you will end up dealing with years after you have the car. I called to order a car starter for my 2007 Accent and went to get it installed. When I went to pick the car up they had installed only car door openers. I told them this is not correct that I ordered a car starter. They told me that this is what I specially ordered and they can not anything about it and I can not get any money returned. They had made $479. They made the mistake and they would not fix their mistake. They told me after the fact that the 2007 car starters are obsolete. I told them I want to return the car door openers back. They told me no way. The package of car openers have been open and can not be returned and to live with what they gave me. I needed a car starter because of my disability. They said if I needed a car starter to go to Visions to get it done. This will cost me another $400 to have it installed. They would not even give me a partial refund. Thank you for your poor customer service. I was involved in a motor vehicle accident over a month ago and my 2018 Kona is still in the shop due to a seatbelt and airbag that were on back order. My rental coverage has now expired with my insurance carrier and I am paying a car loan on a car that I am unable to drive. The seatbelt finally came in this week, however I am being told that the airbag is on back order until at least mid December. I am without a car and having difficulties traveling to and from work. I called the customer service line and was informed that there is nothing anyone can do to assist me. Hyundai should provide me with compensation for a rental car due to the backordered airbag. the repairs on my car by Downey hyundia they continue to charge me for services that I thought they had already done. When I received my oil change they tightened the bolt so hard. After the dealership went under, my husband tried getting the bolt off - and ended up stripping the bolt. He then also had to remove the skid cover to access the area easier. This is ridiculous, because the shop tightened this bolt so hard, that it became stripped and I had to purchase a new one. I purchased a new Santa Fe in 20010.My daughter bought a used 2009 Santa Fe. A close friend bought 2 new Santa Fes, one in 200i2 and 2018. My eldest daughter just bought a new Hyundai Kona from Hyundai Miss. which she loves.I would say I've shown a great degree of loyalty to the Hyundai product and had some influence in these purchases by family and friends. Now to my complaint and disappointment with the Hyundai Service Centre in Orillia. My family and I were returning from vacation when the brakes on my Hyundai failed. The car was towed to Hyundai on Sundial Road. I phoned the next day to find out what the problem was. I was told the rear brakes needed servicing. The $950. charge seemed high to me compared to prices in Toronto. I paid the bill with resevations about the charges for other jobs like servicing the front breaks which were done 3 months earlier in Toronto. Three weeks later I had problems with the rear brakes again. They were smoking and boiling hot.I was towed again. This time I was told the caliper was faulty. The cost to replace the caliper was $4oo..I was very very upset.I split the cost. paid $200. I had to wait to have a non Hyundai part to be delivered. 2015 Hyundai Eleantra SE is a LEMON!! On 11/15/2016 with 12185 miles on the car, we had to replace the battery on the car. On 05/22/2017 with 15516 miles on the car, we had to replace (2) tires on the car because the tires were bald. with the car stalling. The dealership could not find anything wrong with the car. clinking. It does not matter if the car is cold in the morning or anytime of the day. When I start the car, it makes this sound. I had to tape the sound so the service advisor could hear the sound. The tech could not hear it. 02/08/2018 with 20749 miles on the car. We still had the problem with a sound when the car started. When the car starts it sounds like metal clinking. on the car. Even after the dealership replaced the alternator I still had the same sound as before. The replacement of the alternator did not stop the souund. the same sound happens. It sounds like a metal clinking. I had a tape of the sound, the tech did not hear a thing. but the dealership will not fix this issue because the tech could not hear the sound. Something is seriously wrong with the car or the dealership is lying. It should not be making this metal clinking noise when I start the car. I had several people hear this noise but not the dealership. dealership check the battery. The battery was fine. This is happening all the time with the Range issue. fire or blow up with my mom or myself inside. Since they can not find a thing wrong with the car. This car is a true lemon. Ever since we bought the car the battery goes dead. I am sick of this. It is a brand new car. 2017 Hyundai Elantra. I am very upset with this problem. I had in the dealership for three weeks . They thought they found the problem,but they didn't. The battery is still going dead. I am fed up with this car. I want something done. You pay good money for them and you sell us a lemon????? Regina Cherkowski. Will not recommend this car to anyone. I have a 2003 Hyundai Santa Fe with 95000 miles purchased new. The fuel tank quantity indicator fluctuates and shows erroneous readings. Has caused engine failure on Ohio interstate highway due to fuel starvation, which resulted in rear end collision. Many similar complaints have been filed with Hyundai for a recall to repair this problem. Where can I take my car to have the fuel quantity indicator repaired?. I MR.DILIPBHAI JERAMBHAI DHODI PURCHASED AN HYUNDAI VEHICLE CRETA SX + AT CRDI COLOR WHITE BEARING CHASSIS NO: MALC381MHM239164C & ENGINE NO:D4FBHM311394 ON APRIL 2017, MY VEHICLE REGISTRATION NUMBER IS DD/03/AJ/0023 . Reference to our order no. C00001301 (5NPE24AF8FH207385) of 2nd June 2018 for Sensor Ambient, ordered from Bahrain branch which has not been received by us till date. There were promise if the part available Dubai then the delivery will be within 20 days, and if the part is from US the delivery will be within 25 days. The non-delivery causing us other damage in car as Air-condition stop working after washing the car. Please intimate us on the phone the status of delivery schedule as soon as you receive this letter. We shall be glad if you understand the urgency of the matter and support. My name is Dara Hanna, account number 1513200317. I am a co-signer to the Hyundai Elantra 2016. My brother Daniel Hanna is the main signee of the car. I am writing in great distress. On Tuesday July 31, 2018 around 8pm, my brother and I went into South Shore Hyundai dealership on Sunrise Highway in Valley Stream, NY to lease a new car. My Hyundai Elantra lease was up and my last payment is due August 7, 2018. We walked in hoping that Hyundai dealership woud show us respect and apprecation for my brother's loyalty and longevity to Hyundai. He has in the past broght two cars and leased four from Hyundai. That is exactly why we we shocked, insulted, and disrespected by the offer we were given. The salesperson we had was very helpful. I believe his name was Charles, he was a tall African-American man. However, when he talked to his lease manager, he came back to us with an outrageous number for a basic grey 2018 Hyundai Elantra with no frills. The offer was $8500.00 down and $209.00 per month for 36 months. Just a week and half before this, we came into the same Hyundai dealership. They offered us a 2018 Tucson $4700.00 down and $149.00 per month. So as you can see we were shocked and insulted with the second offer. We couldn't understand why the price would go up for a cheaper, no frills car. Unless maybe to sabotage the very nice sales man, who looked to be a new salesperson. When my brother who is 15 year veteran of the New York City Fire Department protested and threatened to tell all his fellow firefighters of the tremendous lack of regard and respect Hyundai dealerships gives. The lease manager whose name I did get, came back with another pathetic quote. After that my brother and I began to walk out. As we were walking out I could see and hear the lease manager wave his hand and mockingly say "Go". As if to say he didn't care for our business, nor the business of NYC FIRE DEPARTMENT. What I think the lease manager was lacking in judgement of the long run. He regarded a couple of thousand of dollars in deduction to very good and loyal customer more that possible several hundred thousands of dollars in revenue sales from of word of mouth. If you review my brothers record of payment and mine, you will see what a good customers Hyundai has just lost. In fact while leasing the Hyundai I would often make payments a month head. I did this several times in the time of my 36 month lease agreement. On August 2, 2018 my brother called the same dealership to turn in our leased car. He was told they would not take it. When my brother asked the representative on the phone for the name of the manager of the dealership and if he could speak to him. She said the manager's name was LuLu and said the manager would call him back.The manager never called back. He had to turn the car in to another dealership. I have never experienced such outrageous and shocking treatment of trying to buy and turn over the lease to any other dealership. I truly believe the lease manager should be looked into for his disrespectful treatment of customers. All because of this horrific experience my brother promised to inform all his fellow NYC Firefighters of Hyundai's treatment of its customers, LOYAL CUSTOMERS. Finally, my final payment is due August 7, 2018 and I truly feel in the spirit of good faith, because of this HORRIFIC experience. Hyundai should compensate us by omiting our final payment. I had an 8:00 AM appointment at the Courtesy Hyundai in Pawtucket, RI this morning. No one was there to open the doors. I left around 8:10A.M.. I find it difficult to understand that not ONE employee was on time for work to open the doors and at the very least get the waiting customers in line for the required services. AFTER 6 YEARS AND LEASING MY THIRD CAR, AND BEING VICTIM OF IDENTITY FRAUD BY HYUNDAI'S VERY OWN DEALERSHIP AND CONTACTING CUSTOMER SERVICE FOR ASSISTANCE TO SOLVE THIS ISSUE, I WAS ASKED NOT ONLY TO CALM DOWN. BUT DISRESPECTED AND HUNG UP ON AND TOLD THAT ITS NOT A BIG DEAL. HOW THE HELL IN THE WORLD ARE YOUR PEOPLE ALLOWED TO USE MY IDENTITY, AND THEN TELL ME TO CALM DOWN? I WILL SEEK LEGAL SERVICES TO MAKE SURE YOU KNOW YOUR CUSTOMERS ARE NOT YOUR DOGS. I have a 2009 Santa Fe and it has turned off while driving 5 times, today was the worst I was driving on a highway with my daughter when the car turned off. When it first happened I took the car to the dealership they had it for 2 days and they said they didn’t find anything. This is a mager issue and I have seen many complains about the same thing on line and Hyundai doesn’t want to do anything about it, are they really waiting for something tragic to happen to take action about this issue. Staff at Thornton Rd has deceptive business practices. Intentional or unintentional. Mis information. Provided by the service department. Caused a 200-300.00 problem to become an 1100.00 problem. They did not care about me as a consumer. My vehicle shut down. Inthe middle of on coming traffic with no warning. My Family and I could have been killed or seriously injured. They do not care about right or wrong. I have had my car 10 months and this has been a horrible car buying experience! I have purchased 8 Hyundais in the past 8 years, in 2017 I purchased a 2016 Tuscon with a Dual Clutch transmission, which is the worst transmission Hyundai ever put in any vehicle. This vehicle is dangerous. It lunges, it stalls, it bucks, it does not shift right, I almost had 3 accidents from it lunging from a dead stop to letting my foot off the brake it lunged and almost hit the car in front of me. I am really shocked Hyundai has no cure for this problem and refuses to do something about it. This will be the last Hyundai I will ever buy, if Hyundai has no regard for there customers safety, then I cannot purchase another Hyundai nor will I ever recommend. I recently took my vehicle in for service and was told it was repaired. I test drove it and it had to bring it right back for additional repairs which took two days and I was told I needed a new transmission which would cost $1400.00. I took it to a local garage afterwards and they fixed the vehicle's Throttle Position Sensor for $123.44. I don't believe my service experience was professional or adequate. How could your Dealer not know how to repair this vehicle in two days? I also found the Service Advisors to be less than patient and should have placed a more skilled Mechanic on this repair. I will never use this dealer again! Poor Service, less than skilled Mechanics! 1) Hyundai Motor Finance did not pay the bill on time. 2) It’s my responsibility to prove Hyundai didn’t pay a bill that was directly addressed and mailed to Hyundai. 3) I have to prove numerous bills were sent to Hyundai—one rep said stated the most recent bill was the first and only one Hyundai Motor Finance received so it’s not ‘our’ fault. NOTE: Given I have some sort of intelligence I went onto the Pay-By-Plate MA website and was able to see all the bills that were mailed to Hyundai Lease Titling Trust; there were 5. Finally, I asked if I could speak to a manger or someone who worked above the rep and she said there was no one, which the dealership told me is untrue. My problem is your reps did nothing to validate my frustrations and actually said, well it's not our fault. I also didn't appreciate their lack off willingness to be helpful or the their tone. It was very obvious from their responses they would rather push the customer off into someone else lane rather than actually provide customer service. I ended up calling the Finance Department directly (10/13/17) and spoke to a wonderful man named Ed, who was more than happy to assist me. He went to his supervisor who instructed him to have this issue reviewed by another department within Hyundai. Further, he assured me that Hyundai would not charge me late fees for something I had no control over. He never made me feel like I was bothering him or that it was my fault or told me I would have to prove Hyundai didn't pay bills that were sent directly to Hyundai. Instead, he took the responsibility off me and placed it where it should be. Thanks Ed! My husband and I bought a 2014 Sonata in January of 2017 with 37,000 miles. After 2-3 months, I started having problems with the gasoline fuel door not opening when I pushed on the fuel button. The emergency lever inside the trunk did not work well either. I took it in to our local Hyundai Service Dept. They adjusted the activator and it seemed to be working fine. Two months later, it started giving me the same issue. I was actually traveling by myself and was quite aggravated that I had to pop the trunk, pull on the emergency lever several times to get it to open. I took it back in for service. They replaced the activator. Said they tried it at least 15 times and it worked perfectly. Two months later, again, I am traveling by myself and the gas door would not open without getting in the trunk. For the 3rd time I took it back for service. Of course, for them, it worked fine but they said the activator was not seated well so they adjusted the activator & it seem to be just fine. Less than 3 weeks later, it is not opening for me and once again, I am traveling by myself. FOR THE FOURTH TIME, we took the car back to service and of course, for them, it works perfectly fine. After 3 hours of checking it out, they can not find a problem. They said it is Hyundai's policy that if they don't see the issue happening, then they can not install new parts. In other words, if it doesn't happen there, THEN IT IS NOT HAPPENING TO ME? At this point, I am so very frustrated with this entire process. Not only is it inconvenient for me to continue taking the car in for service but it makes me very nervous traveling alone. The Sonata is a very nice car and I should not have to "pop" the trunk to fill up my car! I am beginning to get very discouraged and thinking about trading my car in for a different vehicle altogether. I bought a new Genesis on Monday (9-4-2017) afternoon, I drove it home. The next day (Tuesday 9-5-2017) the engine light can on and the car locked in park, I called the dealer (SPRADLEY of PUEBLO, Colorado) I was told by service manager, Andie, to call road side assistance. So, I called about two hours latter a truck came picked up the car. I was not even offered a loaner or another vehicle to drive while my car was being worked on by the dealership, especially since I just bought it. The next day (Wednesday 9-6-2017) about 11 A.M. I called the dealer left a message, about 1 P.M. the service manager called me and stated they have not had time to look at my car, that he was working on a motor and a starter on some other car, and then stated he MIGHT get to my car this afternoon. At about 5:15 I called back to see what was going on, I was told he has not had a chance to get to my car, as he was concerned about the motor and the starter job. Hopefully he MIGHT get time to look at my car tomorrow (Thursday 9-7-2017). No one has asked if I needed anything, as of yet, then I called the sales person Bret, (THE OWNERS SON), he called his mother (the owner Ms. SPRADLEY), she called me at about 5:45 P.M. stated she would get someone on it in the morning, and she also told me that this person, Andie, that I had been speaking with was not the service manager. Not only does no one care, but they have miss represented their job title. This car only has 183 miles on it. I don't feel that this dealership has their customers in mind that all they care about is selling their cars and they don't care after it is sold. At this point, I feel that the dealer or Hyundai should buy the car back. I'm defiantly not happy, I'd like some one from the complaint office to call me, my number is 719-252-9933. On August 11, 2017, we bought what should have been a dream-come-true turned into nightmare 2017 Hyundai H100 CASH to be used as vehicle for our non-profit organization's outreach and feeding programs to the poor. We bought it at Hyundai Dasmarinas Cavite Branch (CTM Ventures and Equity Group Inc, Emilio Aguinaldo Highway, Dasmarinas, Cavite, Philippines, Office number: (046) 424-2114). The agents gave us a so-called brand new H100 that rains inside when it rains heavily because it has 8 holes on the side of the window (manufacturing defect). The agents were very attentive when we were buying but concealed important facts about Hyundai. Only after we paid IN FULL IN CASH did they tell me that it will take forever to get it repaired or fixed because each part is sub-contracted. Even so, since the deal is done, I wouldn't have minded if the body was damaged while we were using it. But this is not the case with us. We got the brand new vehicle and took it home. When it rained very hard, we discovered that it rains strong inside as well. For our cash a poorly made and defective vehicle was sold to us. I could have just bought a second hand one for much less had I known that the brand new is in an even worse condition. The reason we decided to buy a brand new one is so we won't have to have to deal with problems of poor quality. Now the agents won't even take the time to do something to help us and keeps telling us that it will take up to a month before we can use the vehicle if they take it to the casa of their subcontractor. Is this even right? Should you do something about this? REMEMBER, I'M COMPLAINING ABOUT AN UNUSED BRAND NEW HYUNDAI H100 that was just bought. If you won't fix it, can you just replace it with a good quality brand new vehicle? What happened to your quality control? Don't you check your vehicles first before selling them? Just wondering. Complainants: David and Emellee Grubbs, FMI Global Ministries Inc.
We brought a Hyundai Azera to the Smyrna Beach location on 2375 State Road 44 while on vacation for service diagnostics of a rubber burning smell, battery light illumination, and intermittent brake noise on 11/29/2016. We were notified of estimated repair costs and 100,000 mile maintenance service of $2500. This spring 100,000 mile maintenance service had been provided plus additional expenses with a Hyundai dealership in Massachusetts. 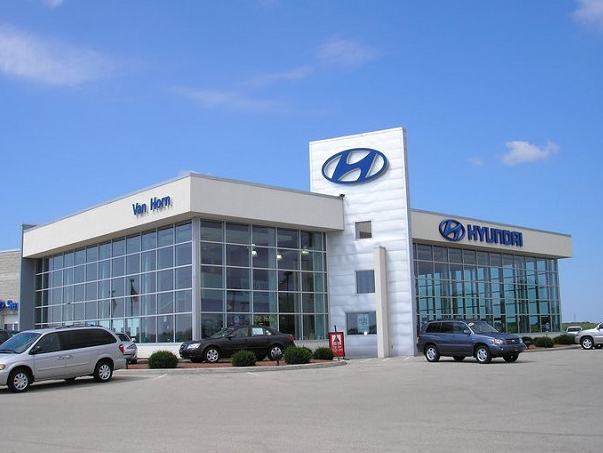 Hyundai in Raynham, MA was contacted with service needs and suggested towing the vehicle to a Hyundai dealership in Daytona Beach because the alternator and hind brake service were still under warranty. When discussing this suggestion to Peter Engasser, we were informed that 100,000 mile maintenance, which had not been authorized had been completed. We were billed 482.08. We were informed during a heated conversation that all maintenance work is preformed before servicing. The customer service experience was very poor. Miscommunication contributed to the experience but we, the customers should not be held accountable. On consideration of expense and age of this vehicle, my husband and I have decided to donate the vehicle. I am requesting reimbursement of all charges. When we purchased 2 vehicles in one night at the dealership we were told by the gentlemen that we worked with (Michael Bennet Milford CT dealership) that we would receive $300 each in key cash (myself and my daughter). When we left the dealership he said it would come in the mail. I have emailed him about 15 times between April and August and had been consistently getting the run-around until finally he just stopped answering at all. I have hear "I am checking into that" for months and it is now clear to me that you are all as dishonest as a car dealer is expected to be! Shame on you Key Hyundai of Milford - you are NOT a "dealer for the people!" I will make it my mission to tell anyone who will listen about this situation. I am the proud owner of a Hyundai IX35, VIN #TMAJU81VLDJ25488. I am now at a point that my pride and my faith in your product gets questioned based on the service I am currently enjoying from your Milnerton dealership. 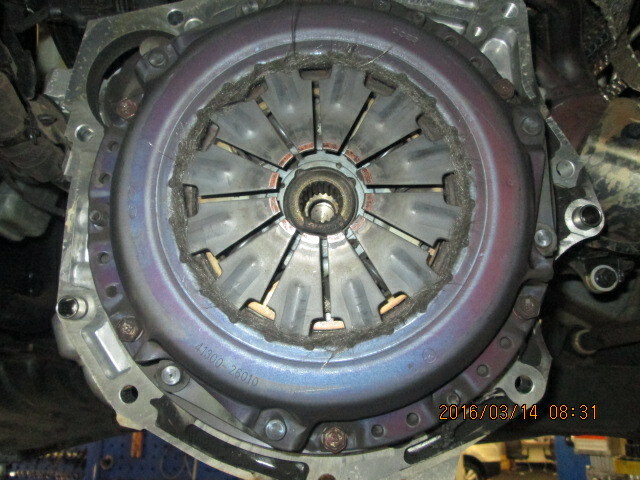 My car went in for a noise on the gearbox sometime in May/ June 2016. I have been told on numerous occasions that there is nothing wrong with my car. I was asked to record the noise and then bring it back afterwards. I then noticed that the noise became more and more obvious. On starting my car one morning I noticed the noise was back and decided to drive it straight to the workshop where the manager and a technician heard the noise. The car was given back to me and then booked for the following week. I was then told that this part " Dual mass Flywheel" must come from Korea. Upon enquiring as I did not receive regular updates regarding my car , I was told that this part now will come from Gauteng and that I am likely to get my car by Wednesday this week. Now I was contacted by a Chad that this part is not here as yet and it is coming from Korea. I shared my disappointment and asked for a courtesy vehicle. I am still awaiting a call from them. I am extremely inconvenienced by your service and your inability to resolve this issue. Can somebody please get back to me as I am very reliant on my car and need to be able to plan my life without a car. If I could rate below 1 star I would. I have my 2006 Sonata serviced and less than an hour later the check engine came back on. I couldn't call the Service department in calumet city, Illinois because it was closed. When I finally spoke to someone in service, they refused to refuse my money which was over $600. The only thing they offered was to repair a secondary part which may have caused the light to come back on, they would have cost me additional $1300. Why would I have them repair something else on my car when they wouldn't guarantee the original repair. I called Hyundai Corporate office, HyundaiUSA refused to even consider refunding any portion my money, my 2006 was not covered because I purchased my 2006 on December 31, 2015. I purchased a used vehicle three weeks ago from Hyundai and it has been the worse buying experience I have ever had in twenty five years of purchasing a vehicle from a certified dealer. The salesman was horrible, the service department with Doug Mricszka was terrible and the general manager of the used cars is a liar. I would not recommend buying a piece of gum from this place. My vehicle still has issues and I have received no help from anyone at Hyundai. My son bought a brand new 2015 Elantra last year and now his AC won't work. The dealer told us a small stone put a pin hole in the condenser. It is a leased car and Corporate said the warranty doesn't cover it. They quoted us $440 + tax to fix it. Tried getting a hold of them and all I get is the run around with them saying they won't cover it. It looks like a poor design to me with nothing from keeping anything from going in there and causing damage. there is no cover, shield, nothing. I have read that this has happened to a bunch of people with the same results. I call it poor customer service and rest assured they have lost another repeat customer. Whatever you do, don't buy Hyundai. I have been driving Verna Fluidic 1.6 SX vide Registration number PB 13 AF 6003 since 27 Nov13. The delivery of said vehicle was taken from Hyundai, Jaipur. It is intimated that post delivery of the vehicle till date the upkeep and maintenance of the vehicle in terms of service have been followed as per the laid down parameters and at proper time intervals as guided. But to my utter dismay the parts of the vehicles has started deteriorating in just over 2 years. It is never expected from a vehicle of worth, which is claimed to be of such high quality and from a reputed brand Hyundai to demand for replacement of parts at such an early stage. Apart from this I got the Teflon coating done on my vehicle during first service at Service Centre, and it was supposed to be done 2 more times, one each on my next 2 services as per process. My next service was done at the Service Station, 22 Godown, Jaipur but they didn’t do the second coating stating that it is to be done at the centre where the first coating is done and the same was never disclosed to me at inception. Anyway I left it, on my 3rd service, the 2nd coating was done and now when on my 4th service again at Service Station I asked for the 3rd coating it was blankly refused stating the validity of the same is 2 years and it was never conveyed to me initially when it was done. Imagine I have paid upfront for a service and the same has been refused. I have raised a service request citing above concerns at your call centre. I will get the revert within 48hrs but nothing has moved till now apart from few calls from the Service center that they have done their servicing properly, they can’t help it as the parts have gone bad and they have no other option to change them to keep the vehicle on road. General service part at the Service station has been satisfactory. It is submitted to pls take a note of the above mentioned grievances and address the same on priority as below average performance of the vehicle delivered to me has instilled a feeling of unsafe driving. If the same is not addressed in an appropriate manner I will be forced to take up next course of action as permitted by the law of the land. I purchased a 2016 Tucson in Sept 2015 and as of Feb 2016 I've had nothing but issues with the Idle. I've brought it in for repair and talked to the dealership several times including Hyundai Motors and I've been told it's a software update issue that is still in the process of being approved by the EPA, however because of the rough/high idling I am not getting the gas mileage I should be. Initially I use to get 28m/gal now I'm getting between17-20. I purchased this care solely because of the gas mileage I commute 80 miles a day and it's costing me a lot more than what I had initially planned when considering purchasing this vehicle. I know from the dealership that I am not the only customer with this issue, I need a resolution from Hyundai asap or I need to be able to return my vehicle and apply what I've paid toward another vehicle. I bought a brand new I20 in February 2016 from Stellenboch branch. At approx.1000kms the automatic gearbox keep on changing gears up and down on its own. When you pull away it is in the wrong gear and it is difficult to accelerate. I booked it in at Brackenfell branch after a long battle - twice already, and the problem is still the same. It was also promised by the dealer in Stellenboch that the car will automatically lock when driving, and it does not do it, and that problem is also ignored. I've sent numerous emails, which keep coming back. The 2nd time when I booked the car in at Brackenfell branch, the aircon did not work thereafter, and I had to book it in again to fix the aircon. They told me that this brand new car of 4 months needed gas as their is no leak. I am beyond frustrated with this whole experience and I need this issue to be handled with the necessary professionalism. I am not happy with the service I received from Donna Greer and Chantal Plater as they promised to assist me and went back on their word. I have been purchasing vehicles from Hyundai from 2009 and now that I require help from Hyundai I have received bad service. I am in a financial situation at the moment and I explained this to Donna and Chantal, I have two i20 and wanted to sell back one vehicle to Hyundai. Donna and Chantal promised to assist but have now gone back on their word of purchasing back the one vehicle from me. Chantal advised me to take a personal loan to cover the shortfall, which I did, as Hyundai would buy back my vehicle. Only to be told when not hearing back from them, that they could only buy back the vehicle if they had a buyer for it. At no time was this the initial arrangement. Why would obtain a personal loan indebting myself further if I known that I could only sell my vehicle back to Hyundai only once they had a buyer. Please see below correspondence with the ladies: I trust that you are both well, there seems to be a miss communication regarding buying back the vehicle. As per Donna’s email below there was never a mention that the only way you could buy in the vehicle at that price, was if you had a buyer for it. I was sold an extended warranty by HUB-Hyundai in Katy, TX. The next day, when I asked if I can cancel it, I was said not possible by the finance manager, Frank. Then, talking with a few friends, I realized cancellation is possible and went there again and requested a cancellation. Finance manager was very rude with me and after ten minutes of arguing he told me that my money will be refunded in 4-6 weeks. More than three months now, I still did not get the refund. When I asked, the same person told me that there are many like me and it takes time. My car was towed on the 10th March 2016 to Hyundai in Hatfield and the lady that is helping me is Betty. She told me that the warranty won’t be covered for my car because they have the old car details, I went to Hatfield in 2014 and trade in my 120 car with you guys and how possible is that the information they have is for the old car not new car. The time I trade in my car why was I not told that I have to change my details with SAA Warranty so that my new car will have warranty. Betty doesn’t call or give feedback, every time I must ask her what’s going on, what kind of a service is this? My car is not old and already im experiencing problems and I have heard lots of people talking about the same thing with Hyundai accent. My car is just sitting with you guys and im busy paying an instalment for the car that I don’t have. I bought a new car because I didn't want problems but already the car is not even two years old but I have a problem and the service that I'm getting is very poor. Today I had to call Betty and try to find out about my car and she send me the attached pictures. I leased a Hyundai Tucson 2015, from Rick Case Hyundai. Since I got the vehicle it has had weird transmission issue (s) that are intermittent. It loses acceleration on take off. It sometimes does not want to go into reverse when I start the vehicle. It shifts at weird intervals and jerks. I live 1-2 hours from a Hyundai dealer. The 1st service I had done with my dealer to express this concern, there were no codes when they hooked it up. And Could not get it to replicate the failure. It has continued to intermittently do this. I had a local mechanic look at it also. They can not find any obvious issues either. I have called ( Rick Case Hyundai) a couple times and always get the service department at my dealership. They (service writers, I guess) can not log notes/complaints. So a manager is whom you need to speak with. Funny how the manager is never available. Then they promise someone in that rank will call you back ---that never occurs. This has been the case 3 times. I believe I am at a year on my lease. The problem has never stopped! I can not pinpoint when it will do it.I went a step further in my conversation with the person that answer's the phone- I told the service guy on Saturday 3/5/16. I wanted it logged, because when someone gets killed because of this intermittent loss of power occurs I wanted it notated. I am at a loss what to do! I have owned a Hyundai previously. I have owned a lot of different vehicles. Makes, models. I have been to racing school. I know how to do my own oil changes and other repairs. For a female I know when something is not right! NEVER LEASE -- if you live on an Island! Do not own anything besides an island wagon! Brought my car in on late afternoon of Weds. 2/24 for my 15,000 mile check up...I had no problems whatsoever with my 1014 Tucson, just following the guide for my oil change and 15,000 needs. Thursday evening I left work and I got onto a busy road and my whole muffler and exhaust fell on to the ground. People honking and pointing for me to pull over. Scary situation. Finally got through to Hyundai service manager who said he's seen a lot of that happening lately. Coincidence after my recent service the night before? Then a get a loaner car after I was towed to the dealership...my loaner car had only 1/8th tank of gas...really? Finally after a week I pick up my car. I noticed I may have left my garage door opener at the cashier desk. I called the dealership to see if they had it...said they would call me right back...no call back. This morning I called them again and yes, they did have my remote! What kind of customer service is that? I will not go back to this dealership again unless I have to. The dealership said that a rock came up and put a pin hole in the ac condenser and its not under warranty and they want me to pay $873.00 to fix it. This is a 2016 sonata I have had it for only four (4) months. that means this could happen again and I will have to pay again isn't this a design defect since the condenser is open to flying rocks I think this should be cover. To spend this on a NEW car is frustrating and I am disappointed in the Hyundai dealership that sold me my car. This is my first Hyundai and my last. I bought a second hand i30 last February from Arnold clark in the fiat broxburn branch within a month I was experiencing loss of power so I booked it into my nearest branch which is a 80 mile round trip, when it was there I was told that there was a problem with the fuel filter which had waxed over and it was going to cost £100 to replace. I explained that I only had the car for a few weeks so Arnold clark agreed to fix it for nothing. Then around December 2015 I noticed that in cold weather ( appox 1 degree or less ) whenever I had my car in reverse gear and then tried to put it into first my car would go back into reverse again I took it threw to my nearest Hyundai dealer and they had a look but could not find anything wrong with it, I showed them a video that I had taken of the problem and the Hyundai dealer agreed that there looked to be a problem and asked if it would be possible to take the car back in when the temperature was nearer freezing which as I explained was not practical as how would I know what the temperature was 40 miles away from where I stay anyway I still have this problem with my car and am no closer to getting it fixed. In the last week I have had to take my car back into the dealers as I had a burning smell coming from my tyres and one of my seat belt lights was staying on, the car was in the dealership for two days and had to have the brakes cleaned and stripped for which I was charged and also had to have a new airbag module fitted which was covered by the warranty. 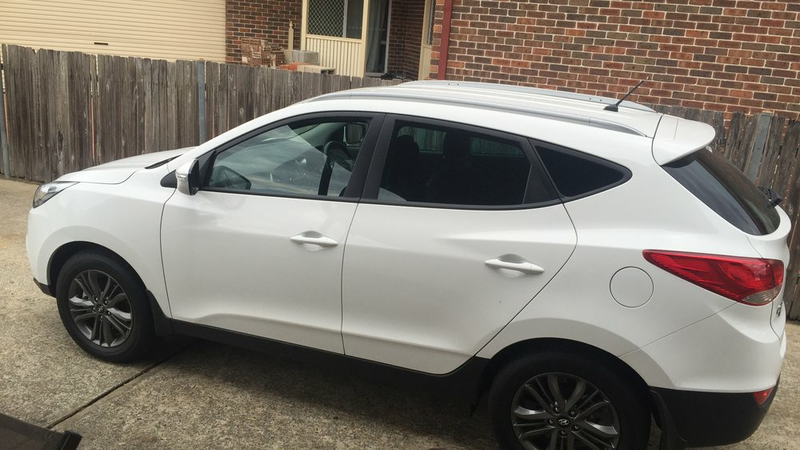 I have now owned the car for just over a year and feel totally dissatisfied with the car and also the Hyundai dealership and am disappointed that my I30 is not living up to the reputation for reliability that helped me choose this car to buy. My dilemma is when I leased my Hyundai Sonata I was NOT told that there was no spare tire or donut in the trunk. I was driving ( alone at age 75) from Charlotte, NC to Pittsburgh, PA. ( a 7-8 hour trip.) While driving through West Virginia ( miles from nowhere ) my right front tire had a blowout. I was able to control my car to the side of the road. It was late afternoon, lots of traffic and I was very nervous being on the side of the road. A family of four came by and the gentlemen said he could change my tire. BUT.... there was no spare tire for him to use. He was shocked and said he had never heard of a car not having a spare tire. I attempted to call AAA, but I was so far from any nearby towns that I could not be helped. I called the WV Highway patrol, they arranged for a tow truck and they took me to a town that had a tire store. However it was after 5:00 and store was closed. The car was dropped off at the Tire store and I had to rent a room at a local hotel. It was not the nicest place I had ever been. The next day the attendant at the hotel drove me to the Tire Store. So far I have been with many strangers and trusting them. Whatever happened to "never speak to strangers?" I was able to purchase a tire $150 and $45 for service. By the time I was able to continue on my trip, it was now 2:00 p.m. What should have been a 7-8 hour drive has now turned into a day and a half ordeal. When I returned to Charlotte, I immediately called the Dealership where I leased the car. I was told my salesman no longer worker there, so I requested the Dealership Manager. The next voice on the phone was a man whom I couldn't understand what he was saying. I briefly told him about the tire and he said I don't know what to tell you. I said aren't you the Manager and you can't help me? He said "Mam, I'm not the manager, I'm a car salesman. I asked him to connect me with operator again and he said he didn't know how to do that, so I hung up and called back. I asked the operator why she connected me with a salesman and she said cause the manager isn't here. Could she not have told me that? I asked her for the Managers name and she said "I don't know it" I said how long have you worked there and she said 10 months. AND SHE DIDN'T KNOW THE MANAGERS NAME.!!! This is what I am requesting and with due cause: I travel quite a lot and do make that Pa. trip at least four times a year. I am requesting that to solve this horrible dilemma that I be provided with a spare tire or a donut for my trunk. I realize that will make less space in my trunk, but I am very willing to sacrifice the space to know I have a spare in my car. Perhaps my Hyundai Dealership could be the ones to provide the tire, per my request. To the CEO of Hyundai Motors India Ltd, Chennai. Sub: Complaint against the defect that has been persisting in my car. I am writing this mail to inform you about my experience with your product as i have been using your car having model I-20 Elite, that i had purchased from your authorized dealer namely AKC Hyundai, AKC auto pvt ltd lakhimpur kheri 16/10/2014 having VIN no MALBM51BLEM027993 Eng no G4LAEM436898 MODEL IB**B Elite i20 (1.2) Color V3G S Dust. Since its purchase till the date of writing this mail, my car has run only 19,680 Kms which is not very long. 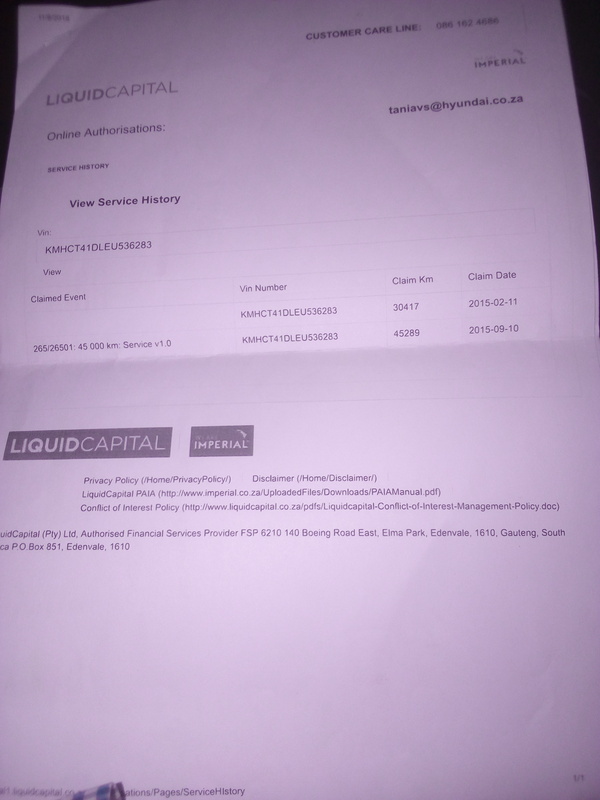 Recently, on 31.01.2016 i had sent my car for servicing (3rd free service) at AKC Hyundai AKC auto pvt ltd lakhimpur kheri and after it returned from service, there happened to be some knocking noise from the engine of the car and immediately contacted your authorized service centre and made them aware of the problem but it was shocking and surprising for me to hear from them that there is some major mechanical fault in engine of my car and they asked me leave the car for repair or replacement of engine, whatever they deem fit will decide. It is astonishing to see as to how come such a major fault has occurred in engine of my car which has not even run 20,000 kms till date and that too when i have always sent my car for service to your authorized dealer on time and before the due date. Sir, i had purchased your car with my hard earned money and having deep faith in your technology and engineering and after ignoring all such suggestions and opinions that i had received against your company. At the time of purchase of this car due to your branding and advertisements i was of the opinion that i am choosing one of the best car available in the Indian market but to my dismay, my opinions are proved contrary to the true that has emerged due to this problem and this mechanical breakdown of car has shattered all my opinions and beliefs that i had in favour of your company. constraint to avail the remedy available under the law. I bought a car on 24th December within 3 weeks it overheated. I was given another car for exchange, it happens to be worse bad than the first one. Within an hour It had a clutch problem. Both of them are with the dealer now. I'm left with no car. Please I like Hyundai cars, just give me the best mechanically good car. With my heart broken, I even deserve a 2011 model now from you good people since that I bought was 2010. Month end (1 february) and I'm paying my 1st installment. In November 2015, I Marcal Bolden, purchased a 2011 Hyundai Sonata from Hyundai on Airline Hwy, Baton Rouge La. Within the first 24 hours, I noticed a pulling to right in front end and immediately notified Justin Brady after returning to dealership. After weeks of talking to Justin, I became angered that I had trusted him to handle the front end problem on the car and he did'nt. I then reached out to Lee Carty, Manager, address the problem to him on one occasion and he was going to call me back and didn't. After numerous of calls, still no response. To date the Hyundai Sonata that I pay a note on has not been repaired nor restutions made for problems that were under warranty and I also paid for an extended warranty. As the manufacturer of this vehicle do you not find a problem with a dealership with this kind of ethics? I am going to be forwarding this complaint to BBB in hope of preventing this behavior to other customers. Now, I was fair in my dealing because I could have executed my 72 hours in the contract agreement because I returned the car within the first 24 hours for assessment and services and due to health reasons, I am just able to follow through with business. I have been mishandled and treated very unprofessional to the point of racial ridicule because I demanded fair treatment from Justin Brady, where he accused me of having wrecked the car myself and bringing it back under false pretense. Now I have a problem with my character being questioned to that extreme when I work everyday for a honest living. I am a employee for a Hyundai dealership in the Dallas area. I am filing this complaint for the employee's that go to work everyday and put in numerous hours. I have worked for this dealership for 6 years and put up with a lot of racism, unprofessional just to feed my family. Star rewards have been ripping off employee's for the last time. They base how you get paid on your CSI score. And for some reason every time you sale a large number of new cars. They will always find a few bad surveys to put in your file so they don't have to pay you for the cars you worked so hard to sale. Please let me know who has control of this illegal act. We own a 2012 Hyundai Sonata Limited edition, we purchased the car used with around 42,000 miles on it, it now has around 56,000 on it. It needed some warranty repairs done on it nothing big just some minor repairs, we took the car down to Lithia Hyundai in Odessa Texas. My wife gets a phone call from the service righter and tells her that the car has been wrecked and that's why one of the problems is not going to be warranted, so we looked the car up on Car Fax to make sure, the information that we got off Car Fax says it has not been in any accident, so why would he tell us that. The problem I am talking about is the piece that holds in the radiator under the car, so I called the service righter (MIKE) who proceeds to argue with me and tell me that there was front end damage to the car, which in return I told him if there was front end damage done to the car with that much force to break the support that holds the radiator up in there, that the air bags would have been deployed, and the VIN NUMBER to the car would have been on Car Fax showing that it would have been in a wreck. He proceeded to argue with me about it, so long story short they said it will not be covered in the warranty. ($1900) to repair it. The Hydraulic struts that hold the hood open to the engine compartment are bad, they will not hold the hood open and I wanted them to fix them under warranty, (MIKE) the service righter told my wife that they will not be covered under warranty because the hood of the car was repainted. Still trying to wrap my head around this one, just because the hood was repainted means that all warranty is VOID, that's not right painting a hood of the car does not make the Hydraulic struts go bad. The Drivers side passenger door handle has a issue also, a little black piece fell out of it, door handle still works fine but I wanted them to look at it and replace it under Warranty. (MIKE) the service righter told my wife that the door handle had been taken apart and that's why the black piece fell out, and that's the only way it would have fallen out, so we would have to pay for that also. ($3.00 for the part $75 for the repair). The rear view mirror is a little loose, (MIKE) the service righter told my wife and I that there is a 12 month 12,000 mile warranty for out of adjustments repair only, and that we would have to pay for that also. (I THOUGHT THE WARRANTY WAS 5 YEAR 60,000 MILES BUMPER TO BUMPER) To me that would include adjustments! The sun roof is working, but the motor sounds like it is struggling when you close it, (MIKE) the service righter tells my wife that it has been in 2 times for the sun roof having problems at a different dealership, he proceeds to tell her they are trying to figure out what is wrong with it, then (MIKE) tells me that there is nothing wrong with it and it seems to be working fine. So if it is working fine why does it sound like the motor is struggling and why has it been 2 other times for the same issue? The cruise control buttons on the steering wheel are a hit and miss sometimes they work and sometimes they don't. But there is a way to get them to work and that is hitting the steering wheel then it might work. (MIKE) tells my wife and I that there is nothing wrong and that they are not going to replace them. Hyundai says they have the best warranty out there over any other Auto Manufacture, which I will give them it is 5 year 60,000 bumper to bumper and 10 year 100,000 on the powertrain, but the service that my wife and I received from Lithia Hyundai in Odessa Texas has put a bad taste in my mouth about Hyundai in general. I have bought a lot of cars and trucks in the past and have had to get warranty work done on them also, but I have never had any issue like I Just had trying to get our Hyundai done. To me everything they said about our car is that they are trying to get out of doing the warranty work and stick you with the bill, which is pretty sad. Our Hyundai has been at the deal ship for 2 days now, and all we have been told is that we are (out of luck). Unless some of my issue get resolved, I will never buy another Hyundai again, and it's not because they are not a nice vehicle because they are, but if this is how there warranty works, there might as well be no warranty at all with the car. And by all means I will not recommend Hyundai to anyone ever again. I was very happy with the purchase of this car and very happy with the car, just Pretty sad this is the type of customer service you get with Hyundai. Dear Hyundai customer support team, This is to bring to your notice an incidence that left me wondering whether my decision to buy a Hyundai i10 grand on 15th Jan 2015, was proper or not? The incident occurred on 28th of November, 2015, when all of a sudden my vehicle came to a halt because there was a cow suddenly came on the road and so that I cross my vehicle beside the road (On Road Berm). There was a small stone which was touch with the vehicle. After this incident the vehicle came to a halt within 100-150 meter only. 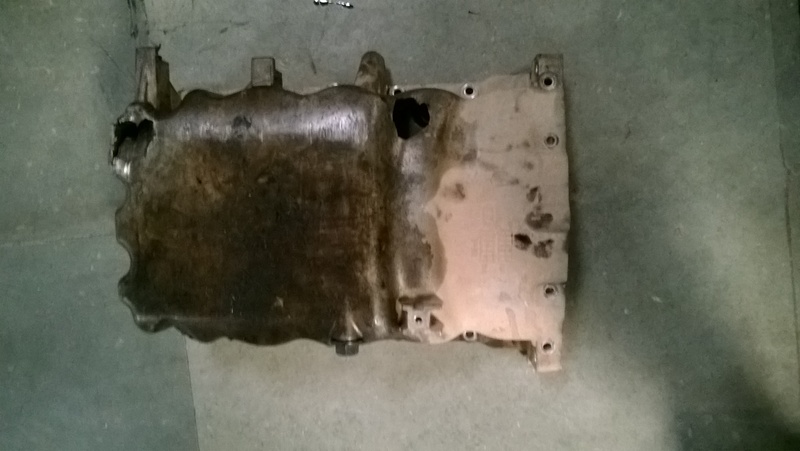 Upon contacting the customer care, assistance was provided to toe the vehicle to the service station, where it was diagnosed that somehow the oil sump had been damaged and it led to lube oil seepage ultimately resulting in engine seizure (this was reported on Monday, 30th November 2015). Photos of the oil sump are attached for your information and perusal. One of the service adviser mentioned that this problem was frequent and only specific to this model (Grand i10 Diesel). This verbatim was not very helpful to my distressed state of mind and further made me think what might be the reason for such a product concern. The Hyundai service center stated that as this is a mechanical damage (Oil Leakage), I will have to bear the cost of the repair which is staggering and also puts an economic dent on my lifestyle. To a reasonable mind, the only possibility for re-occurrence of such incidents is that the oil sump is not of the required quality. This is a matter of grave concern as such incidents not only endangers the passenger life but also leads to a distressing condition. A little secondary search on the internet revealed many such customer complains on the consumer forums and is definitely not a good sign for a company of your reputation. I have taken a Zero Depth Insurance also. But the representative told me that this cannot be cover in insurance. That insurance company was also suggested by the Hyundai dealer (P L Motors Mansarovar, Jaipur, Rajasthan, India). I am writing to the Hyundai corporate office, to give me a proper justification on how such a damage is possible to the oil sump and what corrective measures are being taken by the company to curb such incidences? The vehicle is no good if such concerns repeat and your reply would lead to my further plan of action of whether to get it repaired or just leave the vehicle to its fate and opt for some other vehicle. On Nov. 9 I went to Carousel Hyundai in West Chester, PA. The hatch wouldn't stay open so I went for a diagnosis. When I called to schedule I was told the car was under warranty. After the technician looked at it, he told me it would be about $400. to fix it. I told him that when I made the appt., I was told it was under warranty. He then looked at his computer and said, "oh yeah, it is under warranty." I firmly believe he had to know that because he had already looked at my registration to see the yr and someone had looked at the hatch at that point so he had to know it was a 2013. My gut feeling is that when he saw an older woman come in, he thought he could get away with charging me and even if I'm wrong about that, it's a mistake that shouldn't have been made. A lot of people don't have $400 laying around for a car repair. Also, when he agreed it was under warranty, he didn't even apologize for such a costly error. If I wasn't told it was under warranty initially, I would have pd. $400 unnecessarily. I'm very upset about this and definitely would never go back there. I very likely wouldn't even buy another Hyundai since I want to be able to trust a dealership I do business with. I am a 75 year old lady who took her car in for routine maintenance at Bergstrom-Hydundai at 3023 Victory Lane, Appleton WI. The vehicle has approximately 49,500 miles. It has been driven in a normal fashion for this area. The dealership Repair manager persuaded me to change the radiator fluid, transmission fluid and install a new battery. None of these fluids and battery are recommended for change by the Hyundai car manual maintenance schedule under normal usage. No written evidence was provided to me on the battery condition. He stated in my husband's presence that he would not charge for battery installation but he placed it on the billing for $ 24.95. Due the fact I am an old lady who generally trusts car dealerships would treat a customer fairly, I now feel mainly ripped off at least a $ 450.00. Clearly, I was targeted as an easy mark to rip off. I turned in my lease to Brad Benson Hyundai and switched to a new vehicle. They have me a check for $3000 to pay off the lease so they could sell the vehicle. I just received a letter since they were going bankrupt and am being sued by the creditor for this same amount of money. I am ready to sue both the dealer and Hyundai since I would have never taken the vehicle had I known they were going through bankruptcy. Furthermore, I had a written contract and the credit should be going after Brad Benson Hyundai and not me. I live in Brazil and left my 2011 azera for services at a Hyundai service dealer near my home. After a few hundred miles I went to a gas station and realize that nothing that I have paid for were done. I've paid for full warranty services such as oil, cooler, brakes and a bunch of other things and my engine was simply empty. In Brazil when you leave your car for warranty services, they simply do nothing but charge you. I had complained at local owner of Hyundai brand and they simply ignored me. I am a disabled veteran. My wife and I saved enough money to buy a new car. We went to Crain Hyundai in North Little Rock where we found a Hyundai/ Genesis with 5,700 miles on it. We were told by the salesman (Dillon Buchanan) and his general manager (Shilo Mitchell) that this car contained the best accessory package and was valued at $50,000.00 when new. However, the car had 5,700 miles so he reduced the price to 47,847. The manager stated he would except 42.000 for the car if I would pay cash. When the papers were signed and we drove the car home we found the window sticker in the glovebox that showed that the car contained the TECH accessory package and the MSRP value $46,450.00. The Kelley Blue value of this car with 57,000 miles on it is $38,000. The GPS on my Hyundai 2015 Genesis 3.8 comes up with "No Result" for addresses that are correct. The GPS doesn't help you to complete any address information as you go along for any address. This is the most difficult GPS system I've ever used. Car was purchased in January 2015. Had a prior 2015 Genesis 3.8 purchased in July 2014 and had an entirely different GPS which worked properly. Very frustrating when you the GPS won't accept an address to which you intend to travel even though the address is completely correct. In this case, the address is: 1725 N Broadway, Santa Maria, CA. This has happened any number of times previously. I have been told there is no update for the GPS at this time. I have been hesitant to write, because I thought there problem had gone away. When I drove into a Ga station to fill the tank for the first time, I experienced the problem. As I backed up, turning the wheel to get closer to the hose, I placed my foot on the brake; 'BUT MY FOOT WENT TO THE FLOOR !. As I attempted to use the emeregency brake, the car rolled up against the cement island. The driver's front door rode against a pipe, and dented that door. After filling the tank, I pumped the brake pedal, and slowly drove, gaining confidence as the problem did not reoccur as I drove home. A few days later, when I left my home, I started the car, to find that the brake problem occurred again. I took the car to my dealer. The service supervisor tested the car, and did not experience the problem. He reported no problem, with a facial expression of suspicion about my request for repair of the door. I have experienced the problem of a soft brake pedal a few times. I do not recognize any warnings, For a long while, no problem. Once on the highway, at 70 mph, the brake pedal went soft. I took the car in for an oil change, and requested a check on the brakes. No problem reported. Yesterday, when I went to the car, parked at my home, the problem of a soft brake occurred immediately as I backed out of the parking space. I am writing because I do not get any satisfaction at the service department of Coconut Creek Hyundai. I may be a very capable driver; however, when I drive the car there is a constant fear that the brake will not work in an emergency. Particularly because I do drive frequently on the highway. I recently purchased a Honda Accord from Tulsa Hyundai 8 months ago, I went in for a 2 door accord and they told me it was sold the day before, so they showed me the accord I ended up purchasing which was a big mistake... I tried to trade it in since I need a bigger vehicle for work and find out its not only been wrecked once its been wrecked twice and has frame damage so now after speaking with a manager and General Manager they have nothing they can do to help me nor have tried besides offering the worst options such as a more expensive car out of my range or tacking on a ton of negative equity on a cheap car... I just want out of this vehicle and am stuck in it. I have been in contact with an attorney, better business bureau, and a few other agencies and plan to get this resolved one way or another. And will not be sending in any business to them ever! I recentely purchased a new Hyundai IX35. The air bag mechanics are apparently under the seats and somehow mine became damaged and as a result the whole contraption had to be replaced which was a very costly exercise. Why is the contraption so exposed - I can only assume that someone shoe/bag had got tangled and caused the damage and why is it necessary to replace the whole air bag. I would appreciate your response. In Desember 2013 we took our vehicle to Hyundai Newcastle for our 90 000 km service. They told us that our power steering had a bolt missing which they did not have, and would order it for us. It is know May and still we have not recieved it. I have made enquiries but still have had no response. I would like to know what I should do to get service. Seems like if the guarantee of the vehicle has expired there is no service. Dear Sirs, I bought from you a 2012 santa Fe Limited exactly a year ago. Vin # 5xyzkdag7cg094929 Model# 62462A65 Engine# G6dcbs685044 Although I am happy with the SUV in general- love the truck, I am trully UNHAPPY with Hyundai Motors Corporation, because of the EPA Fuel Economy estimates write-up. We still hold in our possession the Window sticker, that illustrates City MPG "20" and Highway MPG "26". My Santa Fe is giving me an average of 13 MPG- which is far less than your projection. I dont like it when companys like yourself lie just to sell. I intend to follow this through, write letters to everyone- its not fair for the customer that is currently paying $4.29 per gallon and getting 13 gallons per mile in City use. I purchased my hyundai Sonata in 2006 brand new with 4 miles from the showroom . I love my hyundai sonata but I am very displeased with the hyundai paint job, I would think for 20k, when I wash my car with a regular hose with normal pressure that the paint would not just peel and chip off like I'm using a pressure washer. I am very aware of the normal scratches and dings on bumpers , but this has been an issue for past couple years and every year has progressively getting worse. I would appreciate it if you could tell me if there has been any re-calls on the 2006 paint. I would provide pictures if needed. Hello, I purchased a Hyundai Santro car from Pioneer Hyundai, Sherpur chowk, Ludhiana in June 2006.Till date, the car has clocked 29,930 kms only. However, I have had to replace the tyres before the car had reached even 20,000 kms. Usually the tyres should run well for around 40,000 kms. The signs of wearing out were recognized at time of 1st service itself and common measures like rotation of tyres, alignment testing( which turned out to be O.K. ), and addition of weights to the rim were done at subsequent services at your authorized centers but the wearing out of tyres continued.At each service. I pointed this out but no expert help was made available to me.At the last service, conducted in August 2013,on repeatedly pointing out the problem, the "Technical Service Advisor" told me that the car had a "dead axle" which would require replacement and cost around Rs., 18 to 20,000. Having had the car serviced at your authorized centres in Ludhiana, Jullundur and Chandigarh and no one being able to spot the reason for the untimely wearing out of tyres, I did not immediately get the Dead Axle replaced and need expert advice in finding out the exact reason for this problem. Also, I was told by Pioneer Hyundai that since the warranty/guarantee period of 2 years since the purchase was made had lapsed, nothing could be done.I feel that since the authorised service centres had not been able to remedy the problem in time, the problem should be handled and the expenses borne by the company, including a new set of tyres.I hope you will help find a solution soon, as me and my family are forced to drive an unsafe Santro Car. This is the third time the EPS light came on in my 2008 hyundai elantra, but thats not all. The power steering goes out before the light even warns me of the problem. I am a young lady of 28 years old and consider myself in shape but when the power steering goes out in the middle of the city while i am making a turn the amount of effort that is put into to turning the vehicle is incredidible and very disconcearning. I bought my 2006 in 2008. It had only about 22,000 miles on it. Now it has about 58,000 miles on it and the CHECK ENGINE light came on. The diagnosis code was P0741. My Hyundai dealer says I have to replace my transmission, which I am doing. However, I would just like to know why a Hyundai Sonata transmission with less than 60,000 miles on it should need a new transmission so soon. I purchased a brand new 2012 hyundai elantra from ward hyundai in cape gir ,mo. on nov.2,2011.At the time i purchased the car,i strictly bought the car due to the fact it was rated to get 30-40 mpg,and simply couldn't afford to drive the 3 vehicles i already owned with the cost of gas being 3.69 a gallon. My elantra for the first 10,000 miles did infact get that recommended mileage,until the service engine soon light came on. I took the car to the dealer for repair. They informed me that i had a bad coil pac and a fouled plug,which neither did they replace at that time,they merely cleaned the plug and moved the fouled plug and suspected bad coil pac to a different cylinder and cleared the codes in the computer? I was told to continue to drive the car and wait to see if it would set another code so they could determine if infact the coil was defective. After driving the car another 2000 miles, no new codes have been set but my gas mileage went from the original 33mpg w/air on max in city and 40-42mpg on highway to 25mpg in city w/no air and 27 mpg max on highway. I have had this car back to dealer, they performed a fuel test on it. (results 27 mpg), and have harassed them to fix the problem since it occured. The car now has going on 16,000 miles and no inprovment in mileage.I have been told every excuse in the book about waiting on the main hyundai manager to address the issue,they are working on it,they don't know what to do to fix it, to they can't just start part changing. I never experienced this problem until the issue with the service engine soon light appeared. Like i said previously,I have 3 other vehicles that are paid for and my only reason for purchasing this car was strictly based on the mpg the elantra was rated due to the astronomical gas prices. I have spoke with the mechanics, the service dept., the service manager, the customer service manager and the salesman that sold me the car. And yet i am driving a car i would've never bought had it not been the best rated car for fuel economy. I own a Trans=Am GT, a mustang and a SLT Jimmy, so needless to say i'm not an elantra type of person, bought this vechicle for fuel economy. If this issue could be addressed, as well as fixed, I would greatly appreciate your help. I also understand that Hyundai is being sued for miscalculated ratings on their cars,but mine is beyond riduclous.I spoke with a lady at the dealership earlier this week whom also drove a 2012 elantra and she was averaging 33mpg and complaining,so just imagine how upset i am. At this rate i could still be driving my vehicles that i have no payments on and get as good of mileage as i'm getting paying for a car for the next five years thats no better rated than what i already had! I feel like sueing Hyundai for misrepresenting their product,and infact would like to know how to be part of the class action suit that has been brought against Hyundai, as well as getting my car repaired. I'm upset about paying $561.13 for a Ignition Lock Cylinder that should have been a recall item given the reported problems from customers. Ignition key would not turn at all so the car could not be started. Steering did not lock up initially, but when I tried to turn the key along with steering, it got locked. I called the dealer and explained what was going on and they told me to tow the car in so they could check it out. They checked the car out and determined that the whole unit needed to be replaced. This is a common problem with Hyundai of various year even though it has not been recalled. I paid $561.13 all of which Hyundai owes me immediately. I was sent an e-mail by Andrew Zeller on 3-31-14 quoting a complete description of the price breakdown for a 2013 Sonata Hybrid (stock # 709947) complete with all discounts. When I arrived at the dealership there were no 2013’s available. All had been sold days before. You can imagine how disappointed I was when I had been told minutes before I arrived that they indeed had this vehicle. I have been a loyal Hyundai customer since the late 1990’s and continue to verbally support your company to family and friends. I have purchased a used Hyundai and a new 2000, 2006, 2010 and 2013 Sonata. Additionally I have a 2011 Santa Fe at this time. Had new wipers motor put on cost $285.81 and that`s with a $30.00 discount. salesman said it was $300.00. $145.50 labor, $131.02 parts, $14.55 environmental charge, $24.74 taxes. I feel like I got taking begin a woman. $285.81 for wipers motor. not going back trying to find someone else to work on my car that is lot more reasonable. northland Hyundai Sherwood, if I find someone else to do my work see you. I am leasing to own a hyundi santa fe suv and the right side rods snapped and threw my suv into a tree. And the prob is i know now it a recall and done exstensive reseach and dealer in bennington vt where i got it said nothing. My loan is through santander usa and iI have notifed them of this as well. I want it fixed or replaced. What can you do to remidy this before I contact a laywer? My phone number is listed online. Upon leasing my Hyundai 1.5 yrs. ago i was told by the F&I employee that i would receive 2yrs. free oil changes on my car.On Dec. 8 2012 i brought my car for a oil change & i was told that the oil change was not free due to the fact you are not allowed more than 3 Hyundai oil changes in a given yr. I was never told this by the finance & insurance man. All he had said upon leasing the car was that oil changes were free for the first 2 yrs. That’s what i expected! It was the principle not the $38.oo over charge for an oil change.After being extremely satisfied with the dealership up to this point this situation has left a bad taste in my mouth. Before this i was definitely going to go back to Hyundai to lease another car; now i am not. I do not appreciate being lied to by salespeople who only care about their commission. Extremely disappointed! We went to Hyundai (constantia Kloof), the guy that gave us service is “Madi” not sure of the surname. He helped us to buy a Hyundai Atos 2009 model, we got the car one week after applying, Madi said that there are a few things to be changes on the car, it didnt have a back board and the radio that was in the care was seeking for signal so he said that my husband should bring the car in about a week so that theycan put in a backboard aswell as a new radio. The day my Husband bought the car home he relised that there was nothing keeping the spare wheel down in the “boot”, the fog lights was not working, as well as some small stuff, he phoned “Madi” to tell hom all the things that was wrong on the car and he said he will figure it out and get back to him. He didn’t phone us back so my husband had to phone him all the time and to me thats not good service. When we went there for the car my husband asked the Hyundai sales guy if he couldnt take out a backboard out of one of the other Atos’es, he said that its against the policy, now i dont understand during the week he said that a Atos 2010 model is coming in and he will take that backboard but he said its against their policy??? He also said that the car will be having a “valet” but we found a bottle of water and a packet of simba under the seats of the car so it couldnt have been for a “valet”. Up to today 26/03/2011 we had no service to put in a new backboard and radio and all other things wrong on the car. I am at the end of my tether I have brought my Hyundai car in now over four times for the exact same complaint and each time I get told it is something else….I got my car back on Tuesday afternoon and by last night the noise was back and I can hardly get the car in to first gear and it is sticking in reverse as well. I am a bookkeeper that gets paid per hour each and every time I have had to bring the car in to Hyundai and fetch it, it has cost me personally…I really need this to be addressed ASAP or I will have to go directly to Hyundai and express my totally dissatisfaction with the way in which the problems have been!